Getting these types of requests from their customers is not uncommon for Matti Seikkula, CIO, and Manu King, principal consultant, at e-Spatial. The Wellington-based company provides management, consulting and technical services on spatial technologies. Interest in these technologies has heightened in recent years as organisations realise the value of utilising insights from location intelligence. Seikkula and King work with both government and enterprise customers. But they also need to partner with the vendors they assess for their clients. “It is a very delicate line,” says Seikkula, citing the request of this particular client. At the same time, this particular client knows we will make independent decisions, says King. “We have the trust and partnerships with the vendors, and they appreciate that. “People know we are not going to be saying wrong things about their products, and they are actually keen to show us what it does so their customers get the best possible use. They know we are not there to try to sell a product. “They just want the advice, they want the outside in [view] because they are too busy doing what they need to do internally. They know the external world is changing and they want to keep abreast of what is going on,” King says. You have to react quickly, you have to push organisations to become proactive. Both Seikkula and King have extensive experience in spatial technology but their current roles demand them to develop a business partnership model with clients. Seikkula explains that e-Spatial has architects across the board. One of them works purely on ESRI, the dominant spatial vendor in NZ, and the rest work with the other providers and the open source community. King was brought in purely as a business architect, says Seikkula. For instance, a lot of government agencies are transforming their operating environments to be more client focused, he says, so the question is: What do they need to do in the spatial space to become client focused? They then discuss this with the client: “This is where you want to be, this is what you need to be thinking about and this is where you need to invest further. “We give them a sanity check,” says King. Seikkula says customers often pay for things they do not have to, as there is already a lot of open spatial data. There are also customers who just want access to the tools but do not want to invest in geospatial infrastructure, he says. In order to meet the demands of both their customers and the vendors they work with, e-Spatial divided the teams into three ‘legs’: data, development and strategic advisory. Seikkula explains that their development team differs from their enterprise counterparts. “Our development team are experts in spatial integration,” he says. Seikkula and King both belong to the strategy team, which was formed two years ago, and work extensively with customers at a mid to senior level. Seikkula explains: “The customer might already have spatial in depth but they want to know whether they are using it to the best capability, or whether they are using the right software for their particular needs or using it everywhere they can.” Are they obtaining full business value? Or, the company may be undergoing rapid change and would like to know whether they will be able to use their investment three to five years from now. Seikkula and King do not believe that “spatial should be treated as special”. This message, however, is not favoured by some players in the spatial arena. It used to be, “If you need to spatialise data, you need to give it to us and we will spatialise it for you in our GIS. With some of their clients, they act as SMEs or subject matter experts. These organisations include government agencies. King says sometimes he is the only external person who sits on these teams as they do not have a spatial champion internally. Seikkula says they are also commissioned to do a gap analysis of two or more spatial products the organisation has in mind. When they do these reports, they have to muster the skills of a diplomat. “We have to remain neutral,” says King. King says they also look at the cultural side of the organisation. “A lot of the time, for example, the GIS team has been there for 10 years but they have not engaged well with the other business units. “We see spatial as very much mainstream and very much an enabler of all other datasets, but it cannot be an enabler if people do not know about it,” explains King. “Our strength is partnering,” says Seikkula. “Spatial on its own is not a solution, it is part of many business solutions/systems. For instance, an organisation may want to introduce mapping in its enterprise management system. This means they have to partner with an enterprise asset management vendor and understand their interface. “We just need to understand the interface we need to interact with and then we create the components that feed into that. Because of that, we have partnerships with most major vendors,” says Seikkula. These include Microsoft, Oracle, IBM, Google, SAP, SAS, Cognos, and SYL. Seikkula says they frequently/regularly meet with their customers to show them the new things happening in the spatial arena, and some of the newer technologies that will impact their respective industries. They have also started an enterprise architect forum which meets every quarter. Seikkula says this is the reason why their team members attend major conferences across the globe, and share their insights with the organisations they work with. “Our philosophy is not to fight over this small piece of pie, but to grow the pie, get more people aware,” says King. “If the senior leadership team says ‘we have an aspiration to have 3D data’, we know the pros and cons of what they need to implement. 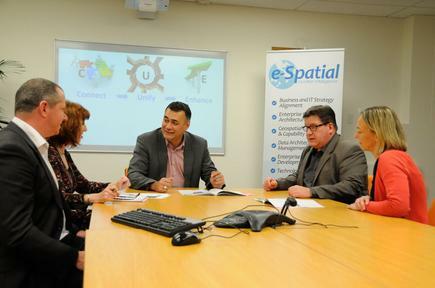 We are completely independent, we have the flexibility of saying to the customer, ‘what do you want to use spatial for? Seikkula and King slid into their current roles after a raft of technical posts in spatial information technologies and the wider ICT space. King joined e-Spatial as principal consultant four years ago, but has been working in the spatial space for 25 years, in central government and commercial organisations. Before this, he was business intelligence and geospatial manager at NZ Transport Agency and spatial data manager at Transit New Zealand. 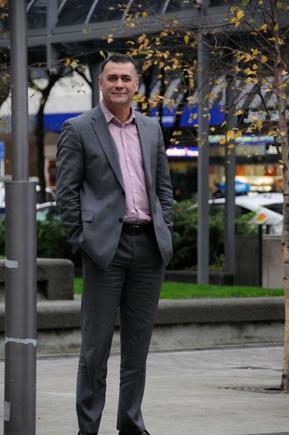 He started as a survey draftsman, and progressed to GIS manager at NZ Transit. This was before the merger of the different government agencies that led to the NZ Transport Agency. Seikkula, on the other hand, has a “pure IT” background. He started working with computers and writing his first program at aged nine, in his native Finland. He has a master’s degree in computer sciences form Joensuu University in Finland, and has minor degrees on mathematics, statistics and economics. 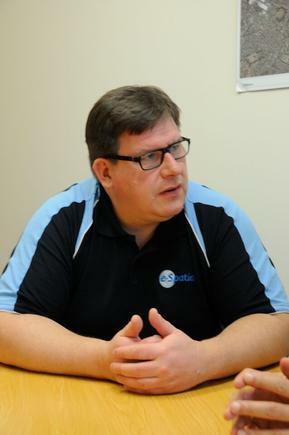 He has over 26 years’ experience in systems design, software development, architecture and data modelling. For the past 18 years he has specialised on geospatial integration. After working in IT for three years, a friend had asked him to join him in New Zealand. This was in QED where he worked as the development manager. Seikkula is essentially the CIO and co-founder. “I was a CIO by name,” he says jestingly. There were three of them at first and they had to do a lot of the work. “We had the most exciting time,” he says. It is the same level of excitement he feels now in the spatial industry, he says. He says Simon Jellie, the CEO, had this vision years ago of getting all the agencies to be working together to deliver better information services. He says the government is now pushing for working this way across its different agencies. 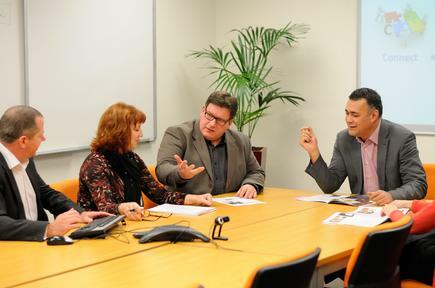 e-Spatial, for instance, was involved in designing the Property Data Management Framework that was identified as necessary to enable access to property data by different agencies following the 2010 to 2011 earthquakes in Christchurch. King says having this integrated view was important, for instance, for emergency services, insurance and EQC. They worked with Land Information New Zealand and the Canterbury Earthquake Recovery Authority to build the framework. The first phase involved modelling the data and creating a proof of concept database. The second one is for data providers to have the mechanisms to put the data into the system. The third part is the creation of a hub which can be “interrogated” about the entities attached to it. The first part has been completed, so that when other organisations are thinking of developing their own framework, they will use this instead. “It is a federated model so instead of everyone doing their own thing, we have created the model to be used. This project, they say, stands out for them as the framework has the potential to be used nationally to enable property data to be accessed from multiple viewpoints – something that has not been possible to date. During the interview, their enthusiasm for their work was palpable. Seikkula says he read about a test on whether one was fit for the role, and which applies to him. “We both feel like that,” says King. 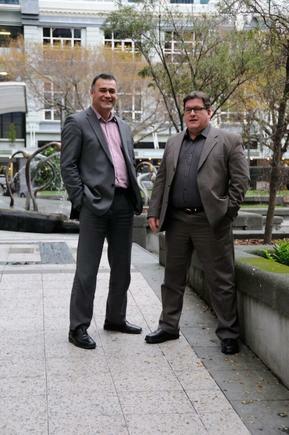 This article was published in the Spring 2015 of CIO New Zealand. Click here to read more.